There’s so many real food books out there today that it’s hard to keep up with them all. 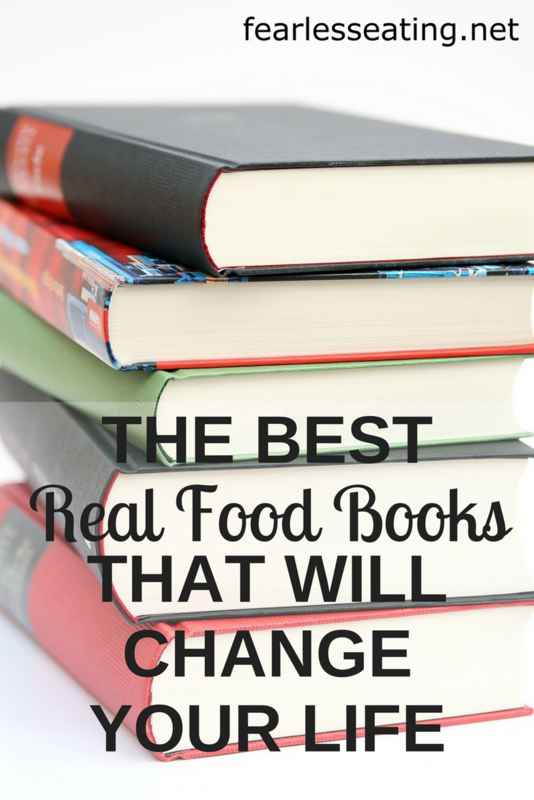 My list of “must read” real food books is getting so long that I’ll never get to them all. But no matter how many I read, there’s a small list that I refer to over and over. 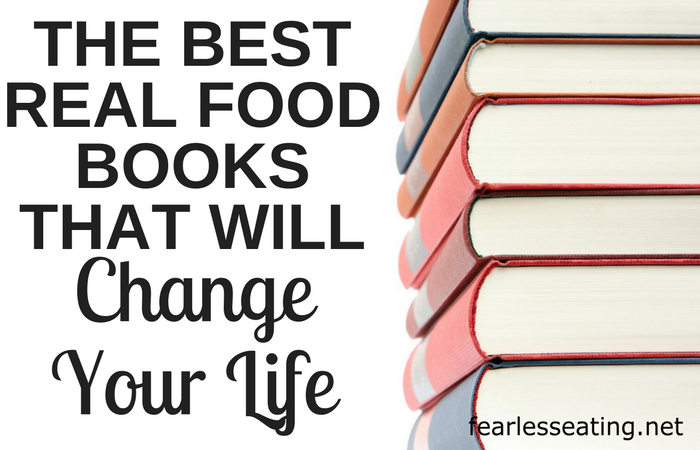 These are the real food books I consider classics that will stand the test of time. They’re more than just about recipes. They make you think. They make you feel. They change your life. It could be something as simple as starting a garden, joining a CSA or just making your own bone broth. Or maybe something as big as losing weight, getting off meds and feeling better. Or maybe even starting your own real food business! In no particular order, except for number one, here are my top ten real food books. Of all the real food books I’ve read, this is my all-time favorite. While it’s part cookbook at times it reads like a novel that you can’t put down. 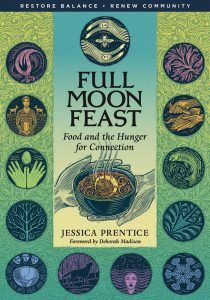 Prentice’s writing will open your heart and inspire you to see food as more than just important for our health but even sacred. 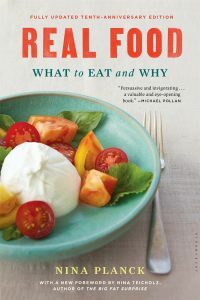 Through exploring the cooking and agricultural practices of the past she clarifies what to eat and why in the present. When I see young women who are struggling with eating disorders, I recommend this book. When I see someone confused about carbs and fats, I recommend this book. When I see someone who’s struggling with being a vegan or vegetarian, I recommend this book. 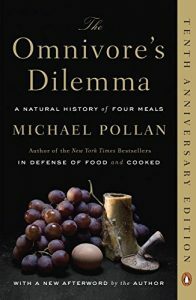 Basically, when I see anyone who wants a great read about what to eat and why, I recommend this book. What does being a locavore (a term ironically coined by Jessica Prentice) really mean? Sure you can shop at your local farmers markets, raise your own chickens and grow a few vegetables but how much of the food in your kitchen right now really comes from your local community? What would it take for it to be 100%? The answer: a HUGE commitment. 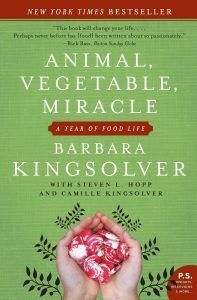 Kingsolver and her family tried it out for a year on a farm in Virginia and she shares their journey in this beautifully written book. It’s not just entertaining, witty and fun, it’s also a fascinating commentary on the social, economic and health benefits of eating locally. Without being preachy or judgemental this book will shine a mirror on your own eating choices and inspire you to do more for yourself and your family. Some claim this book as a tipping point in the real food movement in America. A New York Times bestseller, Pollan artfully exposes the dangers of industrial food, including large-scale organic operations. He investigates four meals – one from McDonald’s, one from the big organic farms in California, one from a small pasture-based farm in Virginia and one from his own foraging and hunting trip. Each meal takes you on a journey with unexpected twists and turns that reveal enlightening insights (some terrifying and some inspiring) into the true health and environmental cost of where our food comes from. This is food writing at its best – entertaining, thoughtful, funny and eye-opening. A fantastic read from beginning to end. If you’re new to fermentation and always wanted to learn how to ferment your own vegetables look no further than this classic book. Many credit it with the origin of the fermentation craze that’s been sweeping the country for the last decade. It was certainly my own starting point. What I love most about this book is the spirit of experimentation that Katz conveys. The recipes are not to be followed exactly but are templates from which you can experiment yourself. Katz follow-up, The Art of Fermentation, is equally good but is a more in-depth read. 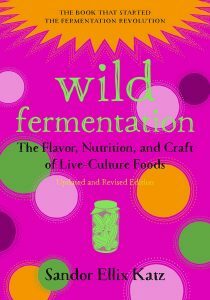 Start with Wild Fermentation first for simple recipes for making your own pickles, kraut, kimchi, mead, miso and many more. This may be the book that started to turn the tide away from the low-fat fad of the 80s and 90s. 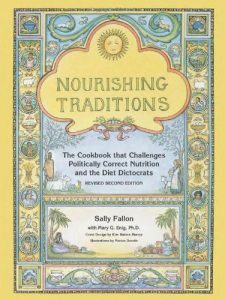 With a heavy dose of science and common sense to drive home her message, Nourishing Traditions is both a cookbook and an educational resource that celebrates healthy fats and real food from real farms. I used to give it to every client that walked through my door. It will explain why your great grandmother’s foods are important for your health and how to prepare and cook them in time-honored ways. With hundreds of recipes on everything from soups, sauces, dressings, snacks and fermented foods this book will become a staple in your kitchen for years to come. Yes, at the risk of self-aggrandizement, I’m including my own book here. But I don’t care because I’m damn proud of it and I truly believe in it. 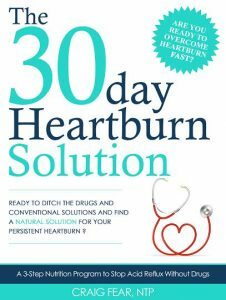 It’s helped hundreds if not thousands of people and at its core it’s really not about heartburn. It’s really about real food. It may not be on the level of the other books here in terms of popularity but it promotes the same message – real food can heal your body. 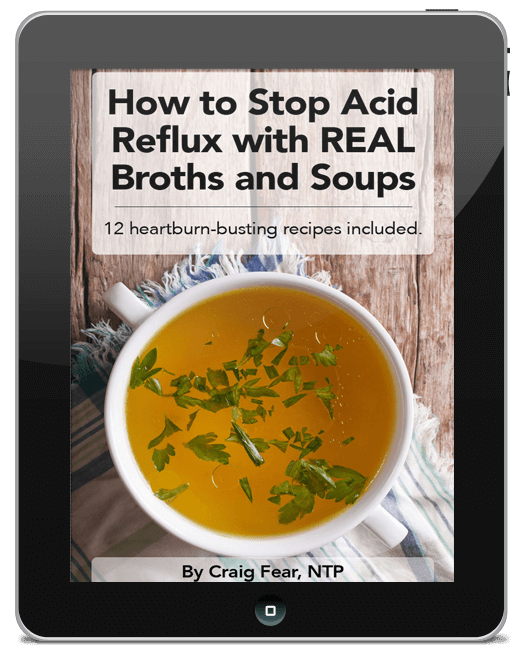 It you know anyone who is dependent on antacids like Tums and Rolaids or is on acid-blockers like Prilosec and Nexium, my book will help them understand the root cause of their acid reflux and lay out a clear step-by-step plan to get off the meds once and for all. Click the link below and check out all the positive reviews from the people it’s helped. Have you ever had a dream to start your own real food business? Maybe it’s making olive oil, foraging for mushrooms, growing oysters or raising honeybees. Whatever it is, this book will inspire you to see it’s possible. Chef Georgia Pellegrini features 16 food heroes from around the world who have an insanely devoted passion to preserve and promote the ancient traditions of their respective artisanal foods. From a salami maker who fought (and won!) 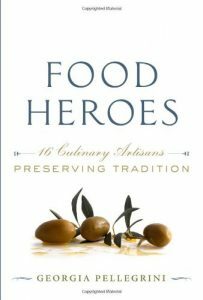 the USDA to preserve his Old World traditions to a tomato grower preserving the seeds of heritage tomatoes to my favorite, a seafood enthusiast who helped transform the fishing industry in the Pacific Northwest, this book will make you fall in love with these people and their heartfelt stories of courage, passion and sometimes a little craziness. As opposed to the authors of many real food books, Nina Planck actually grew up on a farm. She draws on this experience to present many compelling reasons why traditional real foods are better for you, your local community and the world at large. But she also delves deep into scientific research and exposes the many flaws and competing interests in the standardized low-fat nutritional guidelines of the past 40 years. 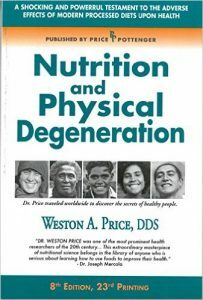 If your doctor is still telling you to eat a low-fat and low-cholesterol diet, give him or her this book. They might finally understand how these ridiculous and outdated guidelines are sadly (and ironically) at the root of so many of our chronic health problems. This one is for all you nutrition science nerds out there. It’s a bit more technical than the other real food books here but I love it because it doesn’t get so deep that you can’t find your way out. 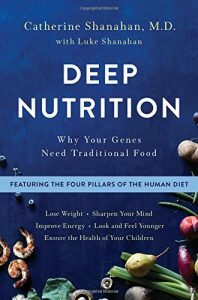 It’s extremely readable and engaging, even if you’re not a total nutrition science nerd. Dr. Cate Shanahan focuses on four types of foods that unite all traditional cultures around the world and details how these foods create good health, generation after generation. Here’s the shocker (or not) – all of these foods have disappeared from our modern diets. If you’re not convinced real, traditional foods (rich in fat and cholesterol!) are what we should be eating, this book will convince you. Imagine if you could go back in time, live with native cultures and truly see how they grew food, how they prepared it and exactly what they ate. Dr. Weston Price did this in the 1930s, capturing the ancient foodways of cultures that have since disappeared. This is the ultimate traditional foods book. Price, a dentist, studied dozens of cultures all around the world. He took pictures of their teeth and bone structure, observed and recorded their food growing practices and even analyzed the chemical composition of their foods. What he found is absolutely fascinating. You can’t call yourself a real foodie until you’ve read this book. It’s a rites of passage for anyone wanting to truly understand the importance of traditional, real foods to human health.